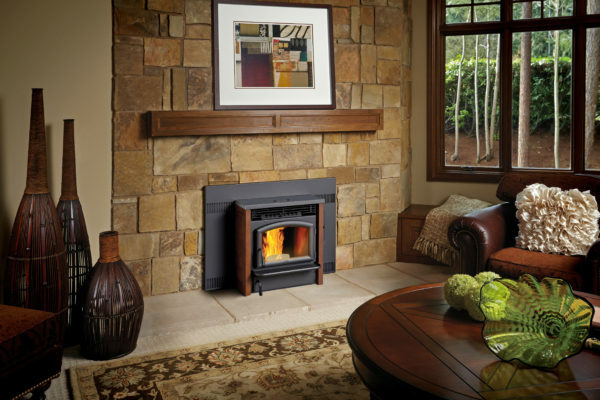 The AGP (all grade pellet) insert is ideal for converting an inefficient, open fireplace into a beautiful source of heat for your home! This low maintenance unit offers an easy removable ash pan, HRD delivery system that prevents blocking, jamming and burn backs. an adjustable hopper comes standard as well that can hold 40lbs to 70lbs. BTUrange-low-11,480 high-41,000 Glass- 127 sq. in.